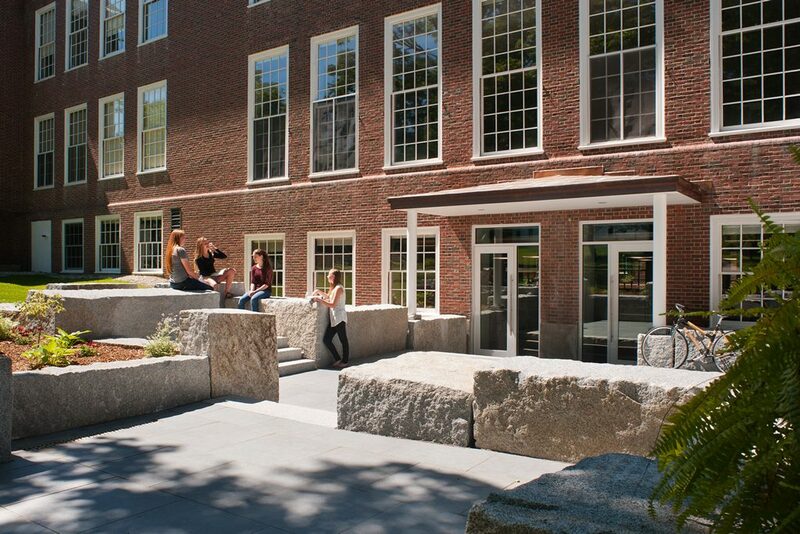 SSA has worked with Gould Academy since 2007 on various projects, including a campus Master Plan. 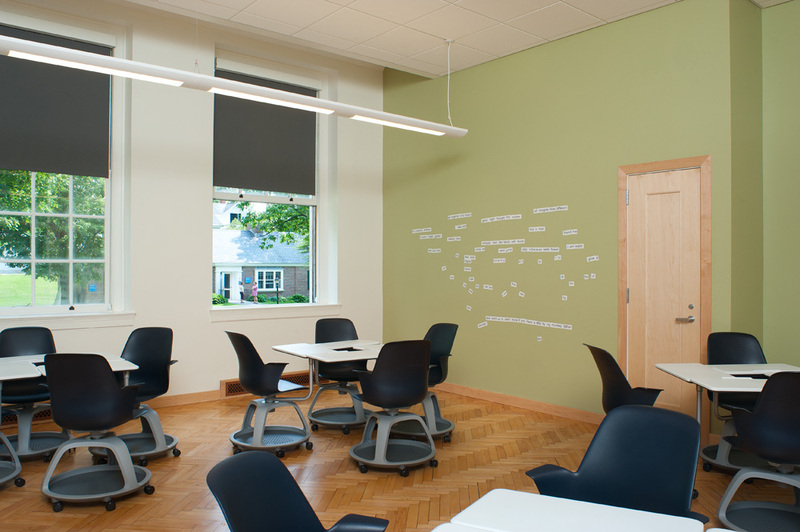 More recently, we have been working with them to design modern teaching and learning spaces that provide opportunities for interactions outside the classroom in small, casual unstructured gathering spaces. 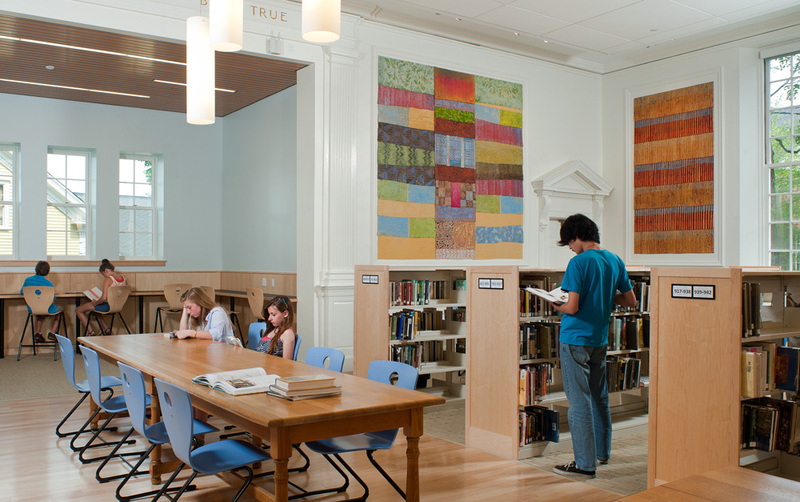 The first area to be renovated was the Sanborn Family Library located in Hanscom Hall (built in 1933), the primary academic building on campus. 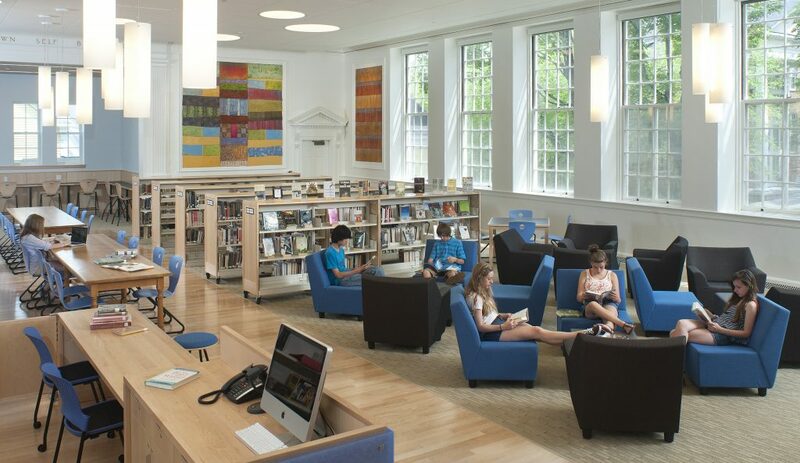 The renovation included the addition of the Lamar Family Reading Room, two new resource rooms, a new flexible classroom, new furniture, flooring and lighting, a new array of windows on the eastern end of the library, and new student work spaces throughout. 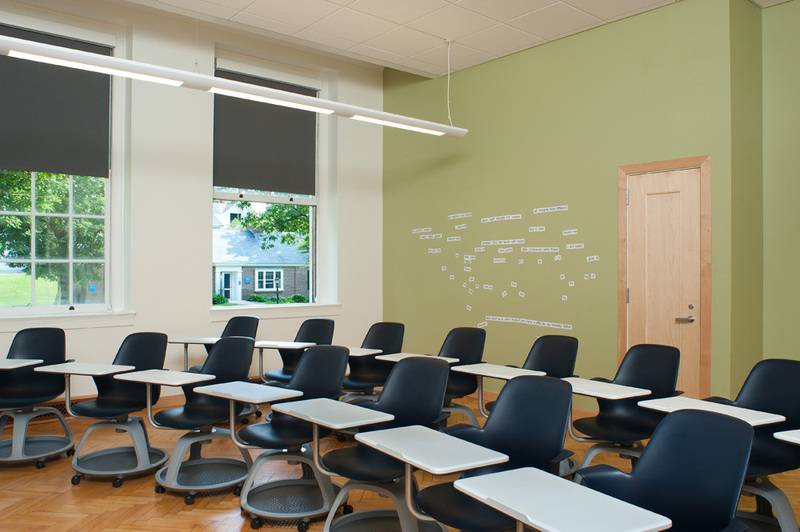 There is plenty of soft seating and areas where students and faculty can interact spontaneously. 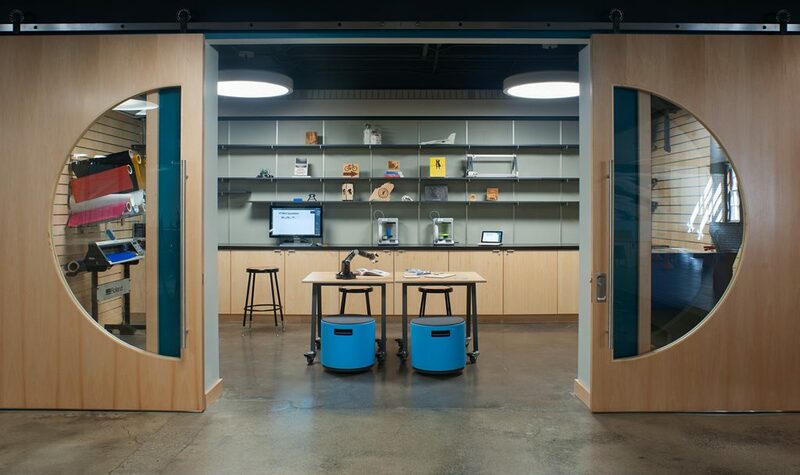 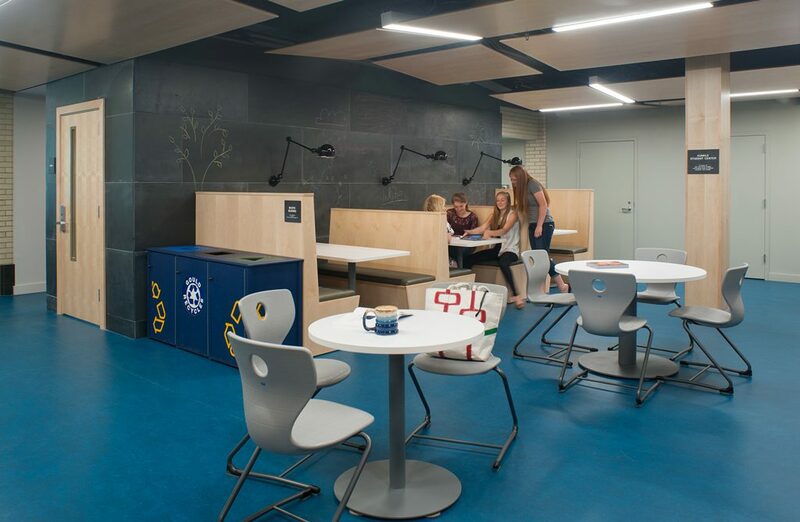 Phase Two of the Hanscom Renovation included a “Design Thinking” laboratory, as well as a “Maker Space”, student lounge, and student café. 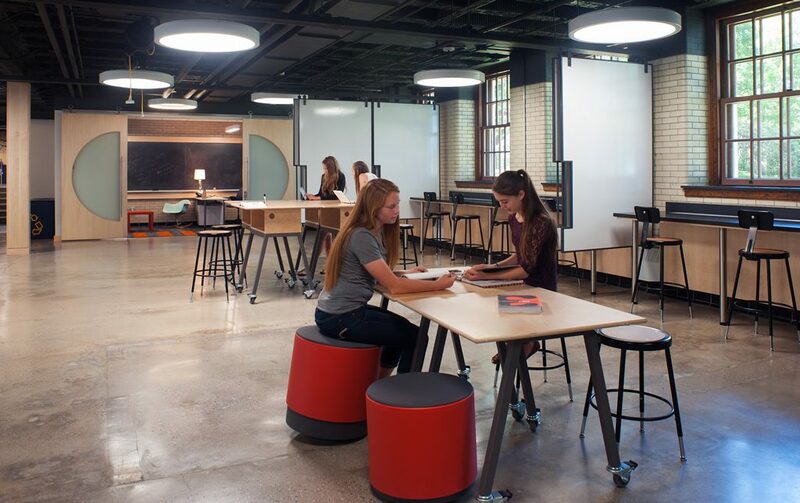 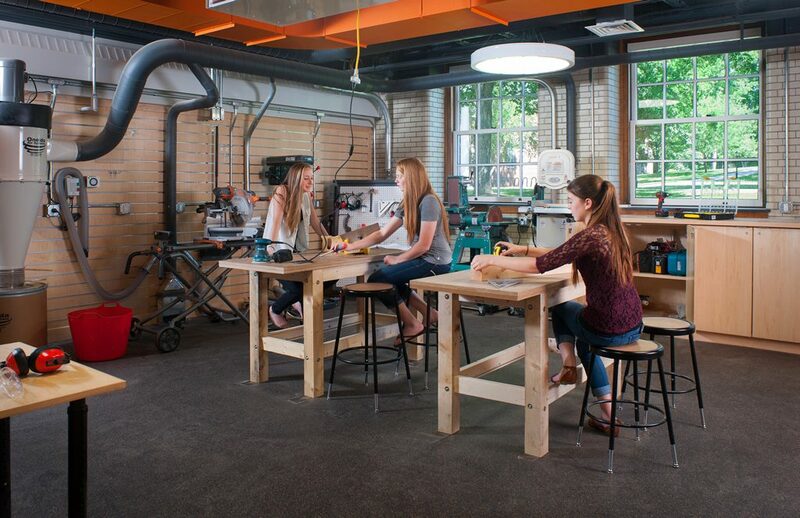 A once dark and dingy lower level was transformed into a gathering space for students and faculty alike, where they can grab a snack, meet a friend, or explore an idea and see what it looks like in 3-D. 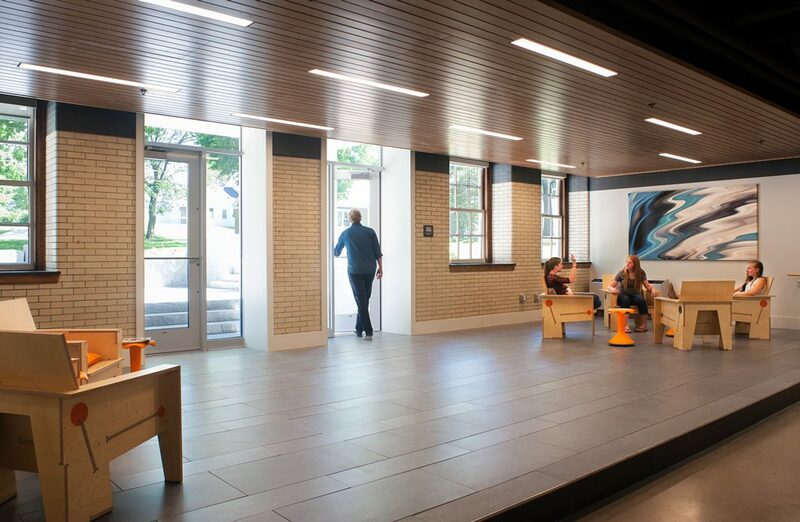 Both projects have provided a welcome update to an important campus building.